I placed my order in the afternoon and it arrived with me the very next day, extremely well packaged to protect the artwork. Extremely happy with the service and am sure to be ordering again. This unique illustration from Place in Print celebrates Dulwich Park in South East London. 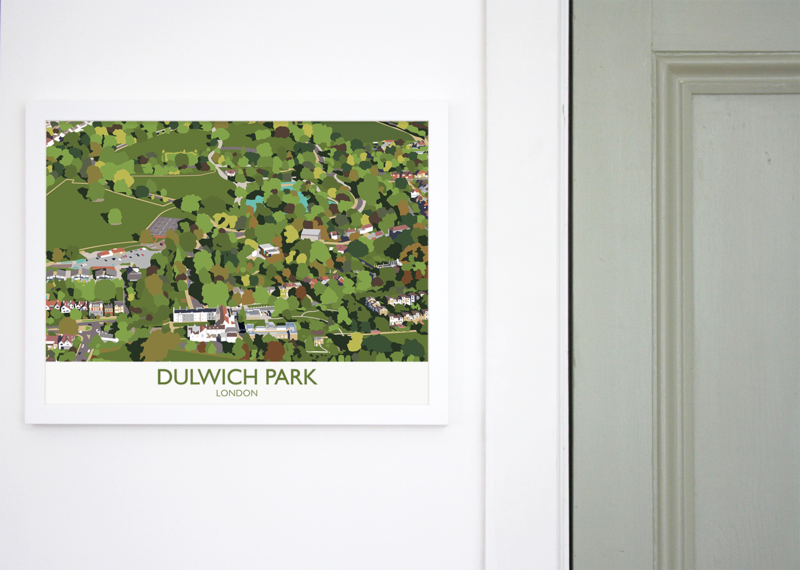 The giclée art print offers an aerial view of the park, with Dulwich Picture Gallery at the bottom of the image. The fine art print has been produced in-house on our fine art printers using archival paper and ink. 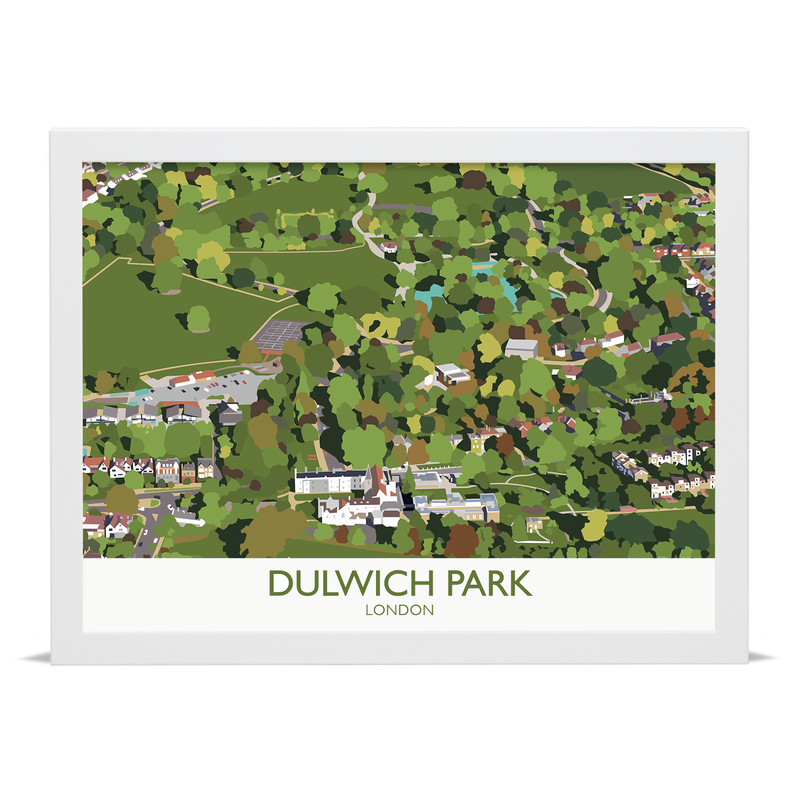 Available in a choice of frame finishes, this design would make a great addition to the wall of any Dulwich residents past and present, regular visitors to the park, or simply those looking for a bright and bold piece of art for their walls.